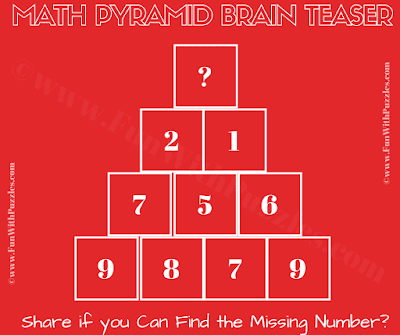 This Tricky Math Picture Puzzle is for Genius Minds who are good in both Logical Reasoning as well as Mathematics. To solve this Tricky Math Picture Puzzle you will require both your logical and maths skills. In this Tough Math Puzzle, you have to find the value of the missing number at the top of the Pyramid by decoding the relationship among the numbers of this Pyramid. 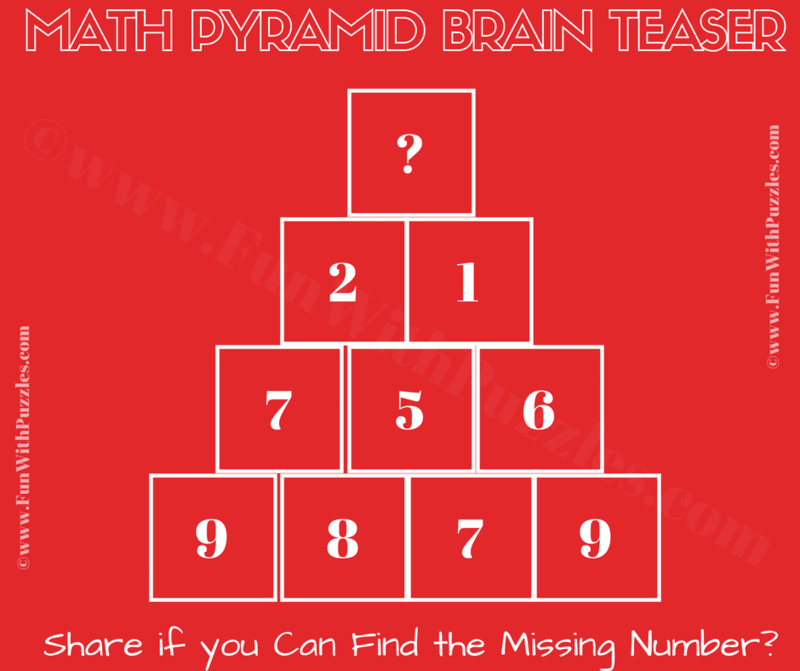 Can you find the relationship between the given numbers and solve this Math Pyramid Brain Teaser? Can you solve this Math Picture Puzzle? Answer of this "Tricky Math Picture Puzzle for Adults", can be viewed by clicking on button. Please do give your best try before looking at the answer. Going from downmost row towards top of the pyramid, add the numbers in the adjacents cells. The number the upper row cell is the unit's place of the sum of previous row touching cells. i think the answer is 3 , the possible relationship is adding each block and the result is the unit digit.